Intel has announced plans to split its Atom range of CPUs into three distinct tiers aimed at different audiences. The move, which mirrors what the company did to its mainstream core processor family, aims to simplify a product line that is becoming increasingly more complicated as more stock keeping units are added. The new system-on-chips (SoCs) are called Atom x3, Atom x5 and Atom x7. 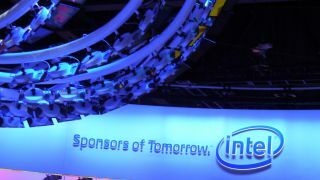 Atom has been a big priority for Intel in its attempts to wrestle the mobile market away from ARM and its partners. There are three X3 processors, two X5 and one X7 CPU. The X3 CPUs, which are rebranded SoFIA chips, are all Bay-trail based models with 3G or LTE connectivity baked in while the X5 and X7 are based on the 14nm Cherry Trail platform. Interestingly, Intel went for an ARM Mali solution and a mature 28nm manufacturing process for the X3 range, possibly to slash the time to market and to reduce costs. Pricier parts will get Broadwell-class GPUs, albeit with reduced capabilities. Products based on the X5 and X7 will be launched in the first half of the year and will receive Intel's new LTE modem, the XMM7360 capable of up to 450Mbps download speeds.